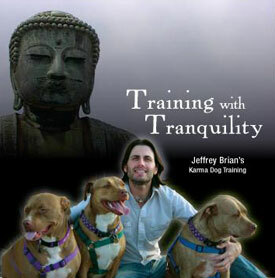 KARMA DOG TRAINING SAN DIEGO the most trusted name in Dog Training! Karma Dog Training’s “Board and Train” programs use ONLY positive reinforcement methods. Some dog training companies who offer “Board and Train” will use anything it takes to get quick results with your dog including employing choke chains and shock collars. Karma Dog Training will NOT employ any kind of aversive training techniques on your dog unless specifically requested by you and agreed by us beforehand. Whether you have a dog in need of basic training and manners, or are simply looking to enrich the life of your well-trained dog while you’re away, the “Board and Train” program will tailor your dog’s experience to your needs and training goals. If you are too busy for private or group sessions or would simply like your dog trained by a professional, give us a call. Our “Board and Train” programs usually last between 1 to 3 weeks but could be as short as 48 hours. The Board and Train Program is designed so that your dog’s receives the best education we can offer with the goal of responding to you when they return home. It is a one, two or three week program, depending on which program you choose, and is followed by 3 private in home sessions as well as unlimited group classes. Your dog will have multiple one-on-one training sessions each day, working with one of our trainers to learn (or brush up on) the goal behaviors set for him. After his stay, you and your dog will have a private in home training session (included in the price of boarding) to review those goal behaviors and show off the things he’s learned, followed by a second lesson a week later and a third lesson a week following that.